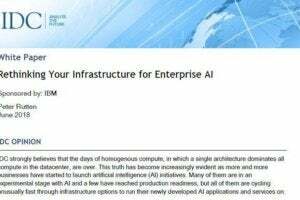 This paper looks at what AI initiatives can mean for an organization’s existing infrastructure what new infrastructure ought to be if so required. 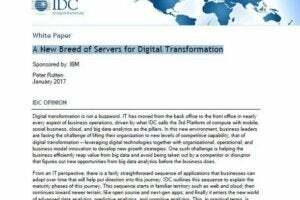 This IDC report explores the role one- or two-socket server infrastructure has to play in enterprise digital transformation strategies. 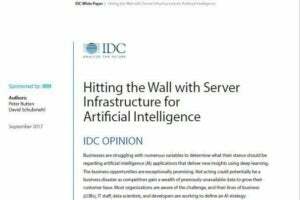 In our 26-criteria evaluation of enterprise content management (ECM) business content services providers, we identified the 15 most significant ones — Alfresco Software, Box, Everteam, Hewlett Packard Enterprise (HPE), Hyland, IBM, iManage, Kofax, M-Files, Microsoft, OpenText Content Suite, OpenText Documentum, SER Group, SpringCM, and Upland Software — and researched, analyzed, and scored them.